Mrs. Doris Pruitt Liles, age 79, of Quincy, Kentucky, went to meet her Lord, Saturday morning, March 30, 2019, at her residence. She was born on March 26, 1940, in Lewis County, Kentucky, a daughter of the late Hiram Pruitt and Edna Irene Lawhun Cooper. Doris was a member of the Quincy Church of Christ. She was a devoted Christian, wife, mother, grandmother, and great-grandmother. Doris was very creative and enjoyed sewing and crafting. In addition to her parents, she was preceded in death by her beloved husband of 56 years, Granger Thomas “Tom” Liles Sr.; one son, Granger Thomas Liles Jr.; four sisters, Charolette Pruitt, Shirley Pruitt, Sandra “Sandy” Pruitt, Beverly “Sue” Pruitt Thayer; and two brothers, Chester Pruitt and Lester Pruitt. Doris is survived by three sons, Roch Liles (Marlene) of Mt. Sterling, Kentucky, Dean Liles and Russell David “Rusty” Liles, all of Quincy, Kentucky; two daughters, Teresa Liles of Quincy, Kentucky, and Donna Bentley (Dan) of South Portsmouth, Kentucky; 13 grandchildren, Amanda Liles, Tyler Liles, Brandon Liles, Roch Elias “Eli” Liles, Emily Liles Kees, David Bentley, Tomi-Jo Liles Harrison, Cassandra “Cassie” Bentley Smith, Zachary “Zach” Liles, Grant Liles, Makayla Liles, Andrew Liles, and Madison Liles; 26 great grandchildren; one sister, Geneva Pruitt Adams (Jerry); two brothers-in-law, Rodney Liles and Dale Liles (Bea); and two sisters-in-law, Doris Liles Mullins and Ruth Liles Poynter (Frenchie). She also leaves many other family members and friends who will sadly miss her. 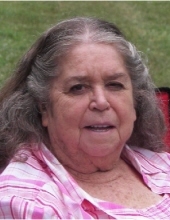 Funeral services will be held at 11 a.m. Thursday, April 4, 2019, at Quincy Church of Christ in Quincy, Kentucky, with her son-in-law, Danny Bentley and Brother Jack Lawhun officiating. Burial will follow in the Stone Cemetery in Lewis County, Kentucky. Friends may visit from 6 p.m. to 8 p.m. Wednesday, April 3, 2019, at Globe Family Funeral Chapel, 103 Dudley Avenue, Garrison, Kentucky 41143. Mrs. Liles will lie in state one hour prior to the service on Thursday at the church. Tyler Liles, Eli Liles, Zachary Liles, Brandon Liles, Andrew Liles, David Bentley, and Grant Liles will serve as pallbearers. "Email Address" would like to share the life celebration of Doris Pruitt Liles. Click on the "link" to go to share a favorite memory or leave a condolence message for the family.